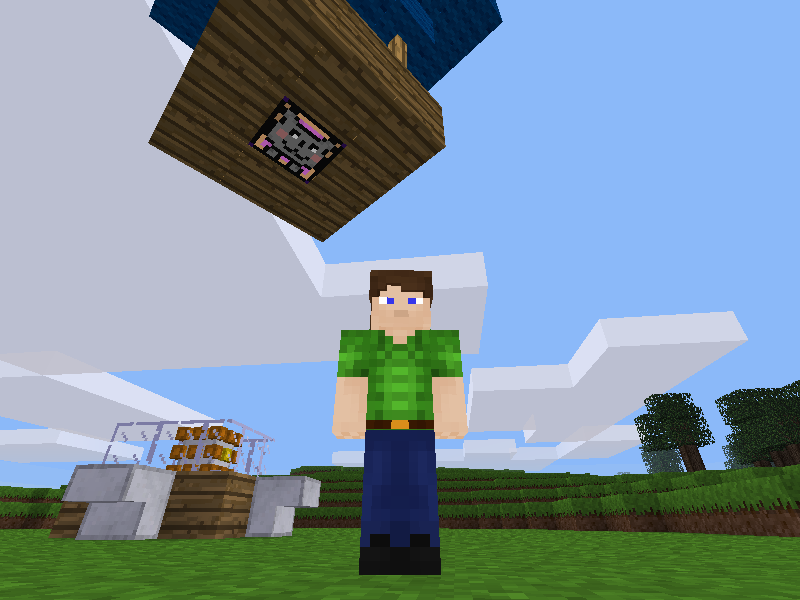 Meshnodes is a mod that transforms ordinary minetest nodes into a connected array of replica entities to which players can attach to and manoeuvre. To use, simply build or place a model using nodes with a supported drawtype then place a meshnode controller in an appropriate position. Now use the special 'glue' that you will find in the controller node's inventory to connect your structure. 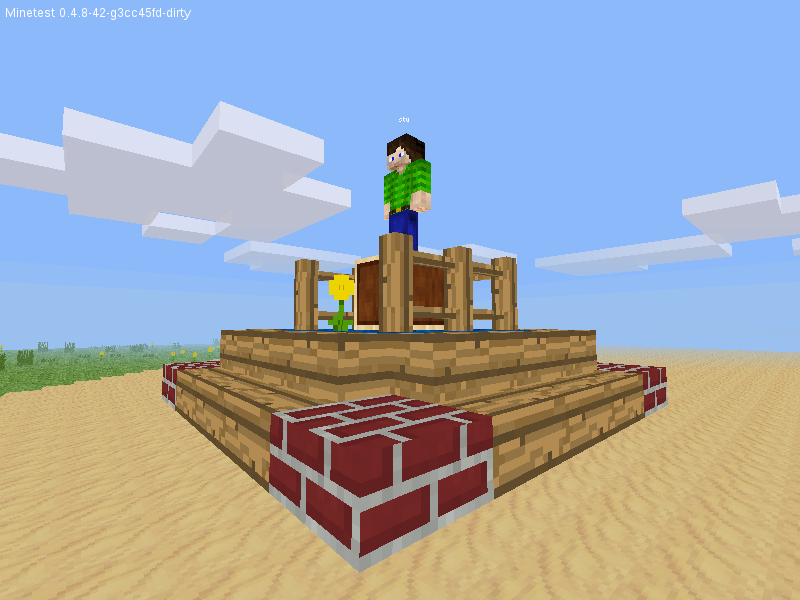 Alternatively, if you are using worldedit, you can use the position markers to define the extents of your model. When everything is connected you should return the 'glue' to the controller to enable activation. Once activated, players can then attach themselves to the controller or restore the model back to nodes. Restored models can be easily reconnected using the 'Connect from meta positions' option. Please note that the 'glue' bottles are unique to a controller's position and are only useable within a limited range. I have done my best to include support for most of the common nodes that are useful for building ships etc, like fences, xpanes and walls including support for all default stairs and slabs in full 6d rotation. It may or may not work with other decorative nodeboxes/meshnodes, the best way to find out is to simply try it. Exceptions include flowing liquids, wallmounted nodes, rails or any node with non-generated wield or inventory images. Some drawtypes have only partial support, like 'plantlike' for example. Place the controller node in the direction you wish to face when you attach to it and always try to make your models hollow wherever possible. By default crafting is enabled in singleplayer mode only and is somewhat expensive. Take care if you use this mod on a public server, while I have done my best to support basic protection, I am sure this mod could still provide serious potential for grief in the hands of the wrong people. By default the controller node will only be available via `/give[me]` and requires the 'meshnode' privilege to be effective, however, non-privileged players will still be able to attach to and operate pre-activated models. Note that you will probably need to increase `max_objects_per_block` to something a little higher than the default 64 to avoid server warnings and broken models. You can set `meshnode_autoconf = true` to automatically increase that limit to 4096 which, in theory, equates to one solid map-block full of meshnodes, though I would not advise testing that on live server. Active objects sometimes disappear following a re-start/connect. This could be for a number of reasons including /clearobjects or a minetest bug. For this reason you are advised to always 'restore' your model to 'real' nodes before logging out or moving any significant distance away from it. The player controlling the entity may appear to be connected to the wrong part of the model when viewed by a player that was not present during the initial attachment. Currently the only solution is for the operator to detach then re-attach to the model in the presence of said player. 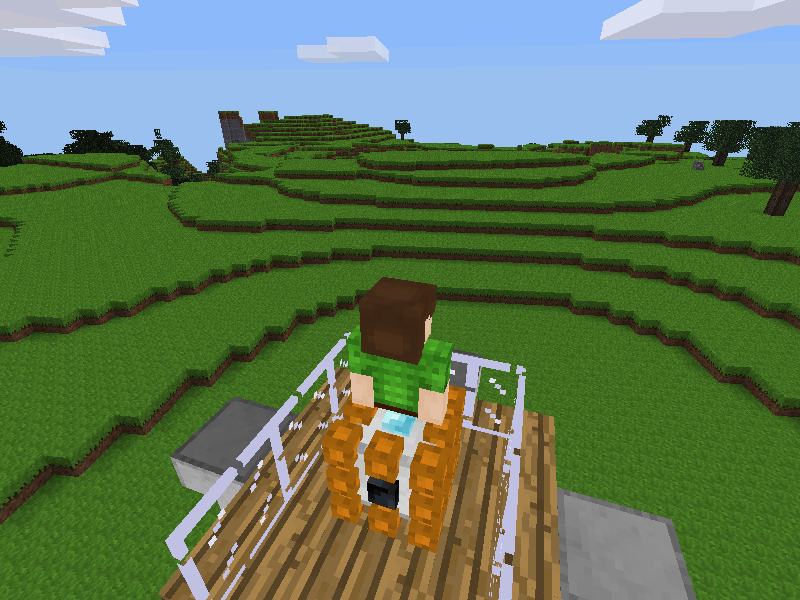 Minetest Version: 0.4.14 or later. Please report any problems here in this topic or using the github issue tracker. Last edited by stu on Fri Feb 10, 2017 23:47, edited 13 times in total. Awesome. My first flying creation was X-Wing from Star Wars . But if i leave game and later join so it wasnt there . Very nice! This mod has better optimisation than my AirShip mod . P.S. It`s a pity that engine don`t allow rotate collision box =( . Helicopter mod-> Open forum topic or Download the latest release. Try out MC-like mob mod!!! Pavel_S wrote: Very nice! This mod has better optimisation than my AirShip mod . Thanks, though I must admit this was largely inspired by your mod, please feel free to incorporate any of this code if you think it will improve it. please update to the lastest git if you get errors. Last edited by stu on Fri Dec 27, 2013 23:53, edited 1 time in total. I have created steering wheel for this mod. I just decided to try this mod. I can only say it's pure awesomeness! Excellent job with this! I created a small airship, and I'm really impressed how well this works and how seamless the movement is. any server already using this ? Pavel_S wrote: I have created steering wheel for this mod. depend on meshnode to make such amazing creations, thanks. kaeza wrote: I just decided to try this mod. I can only say it's pure awesomeness! Excellent job with this! Thank you, kaeza for your kind remarks and screenshot, I do admire all of your work too. aldobr wrote: any server already using this ? here or in the specific forum topic. It scales much better than I ever expected it to, just try to keep the numbers down by making large objects hollow where possible. The use of stairs, slabs, plantlike and fencelike should be kept to a minimum to get the best performance. Hello when I tried loading this mod, its giving me an error like its missing something. Please help! Last edited by randylin26 on Fri Jan 03, 2014 17:21, edited 1 time in total. randylin26 wrote: Hello when I tried loading this mod, its giving me an error like its missing something. Please help! This looks very interesting =) ... perhaps it would be possible to save the vehicle's schematic before the controller is added, then before shutting down the server you could land the vehicle and make it revert to it's standard node form by placing that schematic ... ? paramat wrote: This looks very interesting =) ... perhaps it would be possible to save the vehicle's schematic before the controller is added, then before shutting down the server you could land the vehicle and make it revert to it's standard node form by placing that schematic ... ? This is probably best used in conjuction with worldedit for that very reason, although this is a nice idea, I will give it some consideration. 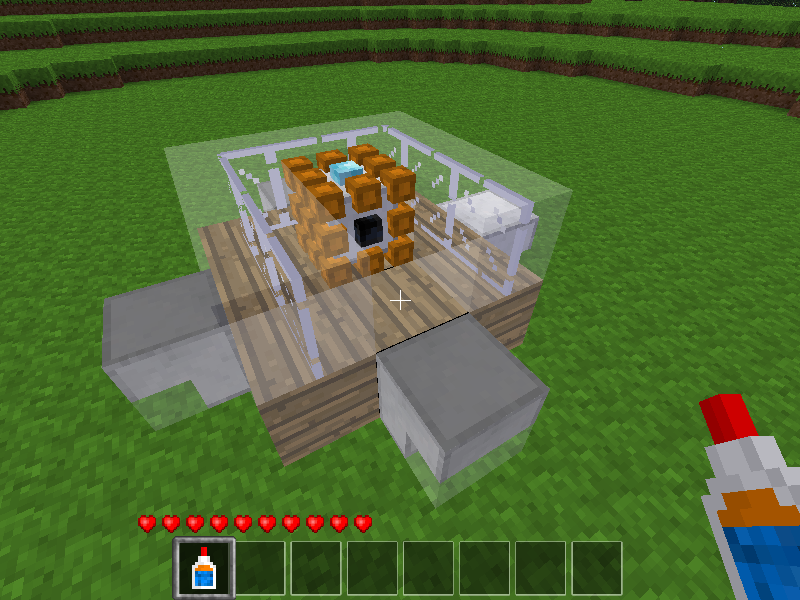 Like I mentioned earlier, I was hoping that others might depend on this mod as a base for say an airship mod or a car ferry mod or whatever. It would then become that mod's responsibility to perform any loading/saving of schematics. Last edited by stcrafts on Sat Jan 04, 2014 13:20, edited 1 time in total.